... is almost enough! What a warm, dry summer it has been. The early summer flowers like iris and lilac are long since spent and have been deadheaded. 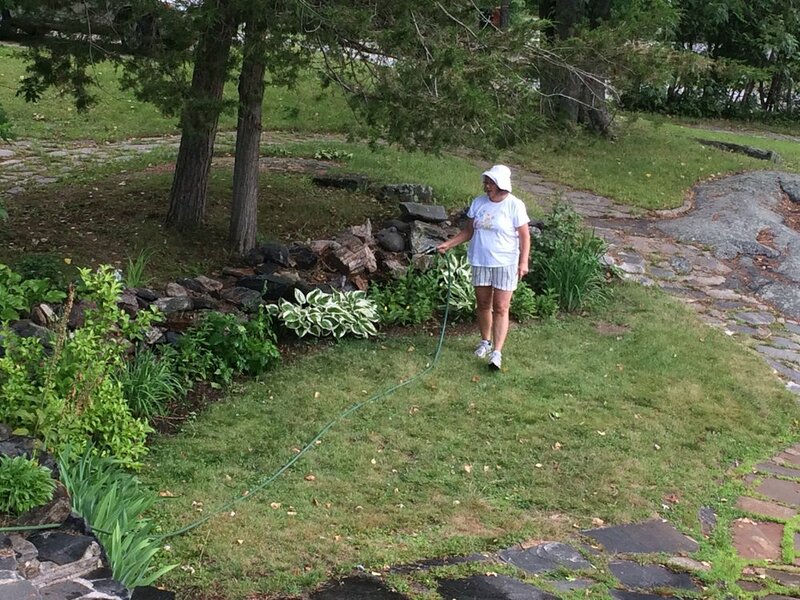 And now it is the season for watering. 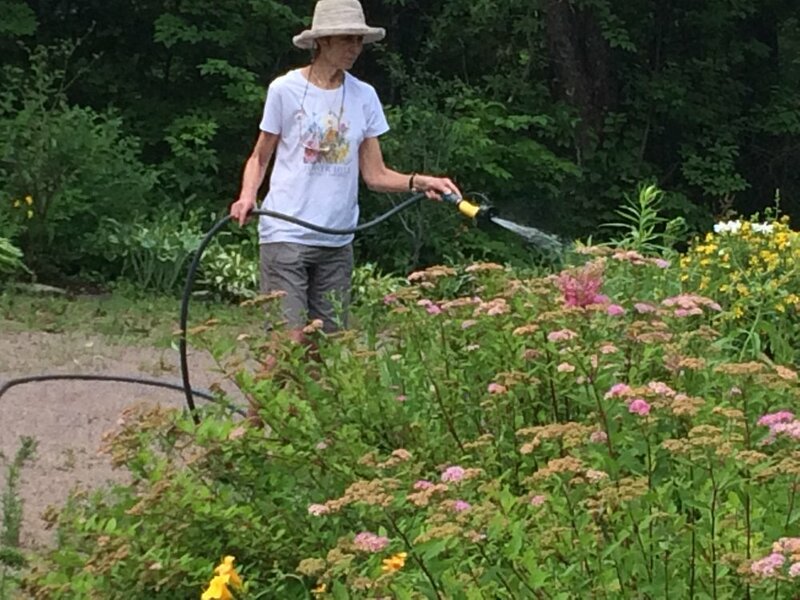 We have been watering at least twice a week, sometimes three since late June. Sometimes it has seemed like we have done nothing else but water. 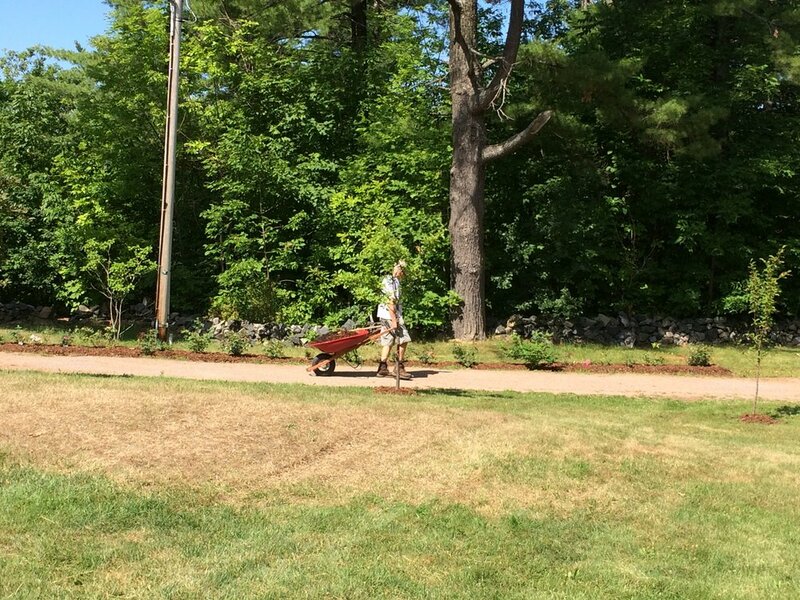 So a few weeks ago, we decided to use some of our precious savings and buy mulch. There is no question that mulch provides a huge benefit to a garden bed. It insulates the soil, keeping it cooler in summer and warmer through the spring and fall, it helps the soil retain moisture and (especially beneficial) it helps prevent weed seed germination. Many organic mulches also add nutrients to the soil as they break down. The down side of mulch is that it costs money and we usually have more volunteer resources than cash resources. There is also the issue of the amount of labour it takes to spread it in a large garden like ours. We have talked about it every year, but have never had (or been willing to spend) the money. But the hot, dry weather finally got to us and we ordered mulch. Ten yards of it. Adams Brothers brought it in three loads and dumped it in three locations in the Garden. We managed to get it all spread in three work sessions covering all the main garden and part of the habitat garden. It hasn't meant that we don't have to water at all, but it has made a difference and looks great. It cost us over $600 of our hard earned cash, but we all agree that it was worth every penny.